Elevate your child's day! MegaFood is committed to sourcing fresh, real food from trusted farmers like Kauai Organic Farms. Kauai, the Garden Island of Hawaii, offers nutrient rich soils, sun shine and fresh rainwater from the lush mountains of the island. It is the ideal location for growing certified Organic Turmeric which MegaFood is proud to deliver to you in this product. Using real foods in their one-of-a-kind Slo-Food Process™ means that MegaFood Nutrient Booster Powders provide authentic nourishment - much more than just vitamins alone. Add just one scoop to your child's or teen's favorite smoothie, protein shake or juice to increase their intake of essential nourishment. Wholesome and unsweetened, MegaFood Kids Nutrient Booster Powders are made with FoodState Nutrients™, whole herbs and farm fresh, antioxidant-rich foods to enhance your child's vitality and cultivate their well-being. Kids Daily Multi provides a broad range of FoodState vitamins and minerals together with whole food phytonutrients in a form that is easy for children to enjoy. 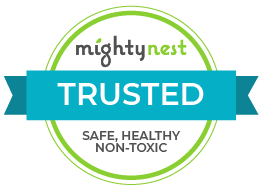 You can feel confident that your child is getting the best in foundational nourishment to support their vibrant overall health. Suggested Use: For ages 5 and over, add one level scoop to 6-8 ounces of your child's favorite smoothie, shake or juice. Blend well and consume. MegaFood is a pioneer in the natural products industry, being the first company to make vitamins from scratch, with farm fresh whole foods. For 40 years, MegaFood has been making wholesome nutritional supplements that deliver the promise of farm fresh foods.Simply put, MegaFood is dedicated to crafting the highest quality whole food supplements possible, which means starting with a variety of nourishing foods. For MegaFood, this includes fresh carrots for mixed carotenoids, broccoli for folate, whole green cabbage for vitamin K, oranges for vitamin C, organic brown rice for vitamin E, antioxidant-rich fruits like cranberries and blueberries for protective phenolic compounds, and nutritional yeast for B vitamins and minerals. No other whole food supplement makes their own nutrients, or sources as many fresh foods as MegaFood does. The colorful spectrum of foods they select provide a comprehensive blend of phytonutrients and trace minerals not found in isolated vitamin supplements.MegaFood works with family-owned farms in the United States and Canada that are known for their commitment to growing with care and ethical farming practices. Freshly harvested foods are rigorously examined for quality, prior to beginning their journey through the privately-owned MegaFood facility and one-of-kind Slo-Food Process™.The Slo-Food Process is designed to be slow and gentle. This means the foods are never exposed to damaging temperatures that diminish the foods nutritional value, or destroy any of the colorful aromatic compounds that give a freshly harvested food its color, taste and nutritional punch!